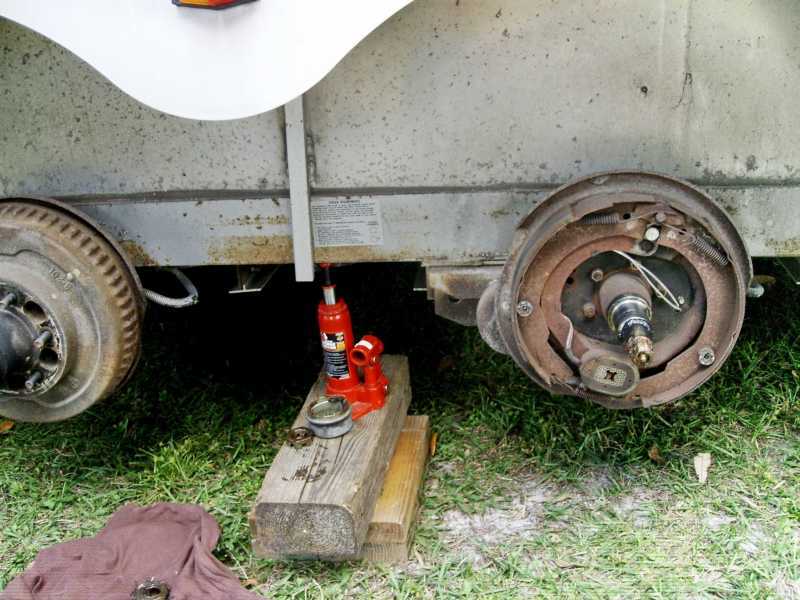 St Augustine, Electric Horse Trailer Brakes repaired & Rewired. 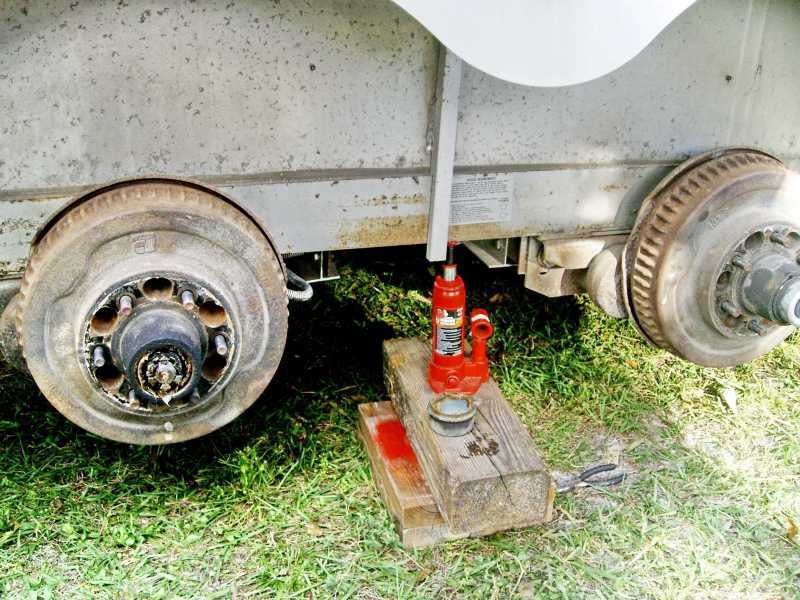 No, we don't only do horse trailer brakes, we do any electric trailer brakes whether landscape trailer, equipment trailer, utility trailer or boat trailer. 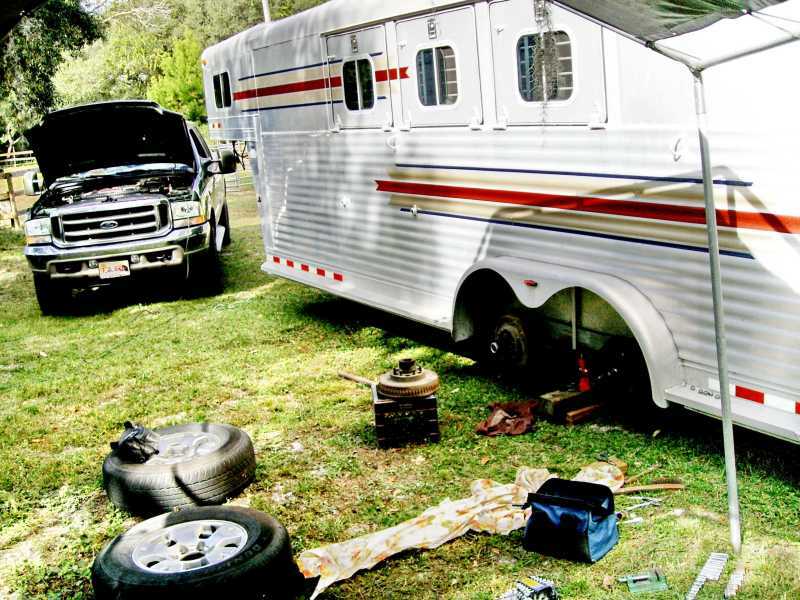 Want to see a full rebuild of a horse trailer? Click this link. 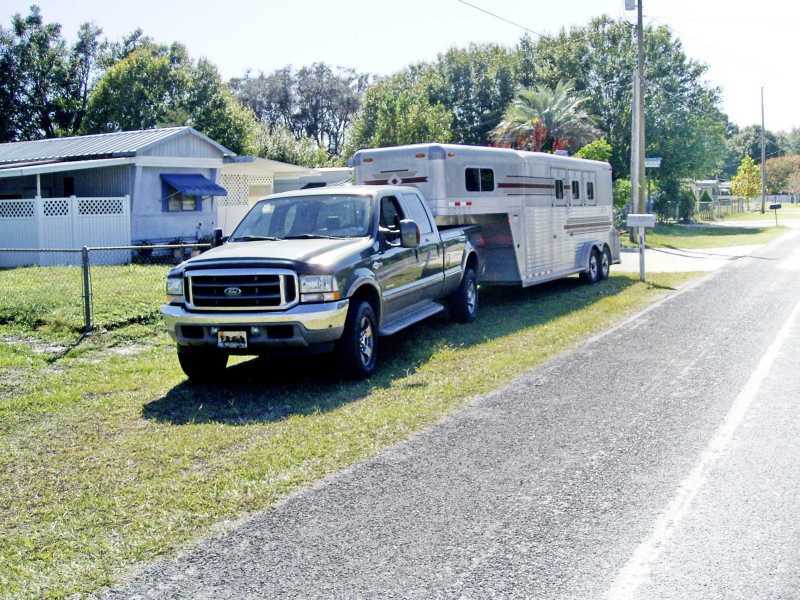 The driver of this horse trailer complained the trailer brakes were weak when the trailer had four horses in it, and stopping power... though strongly needed... was too inadequate. Since a shop was not needed for this work it was decided I would repair it on their farm. 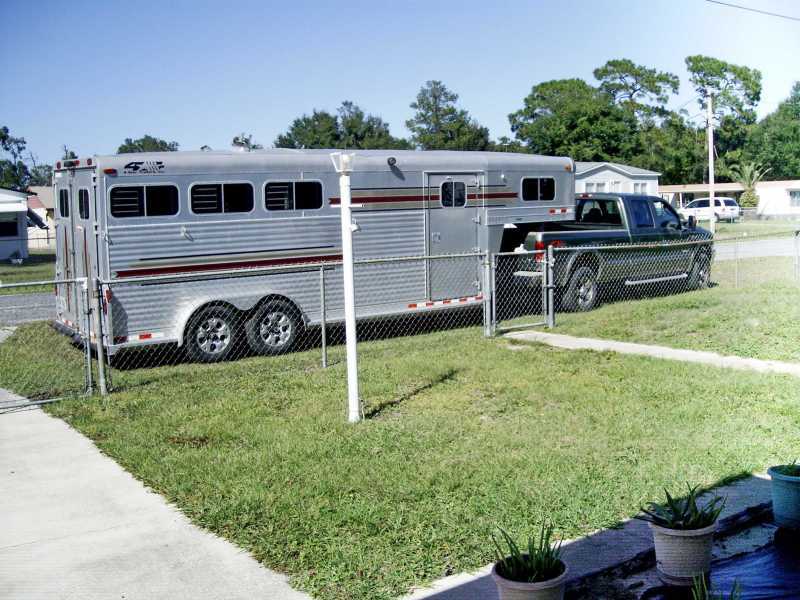 This customer had many horses worth over 50k and money was no problem for them so they didn't mind my mobile repair fee's. 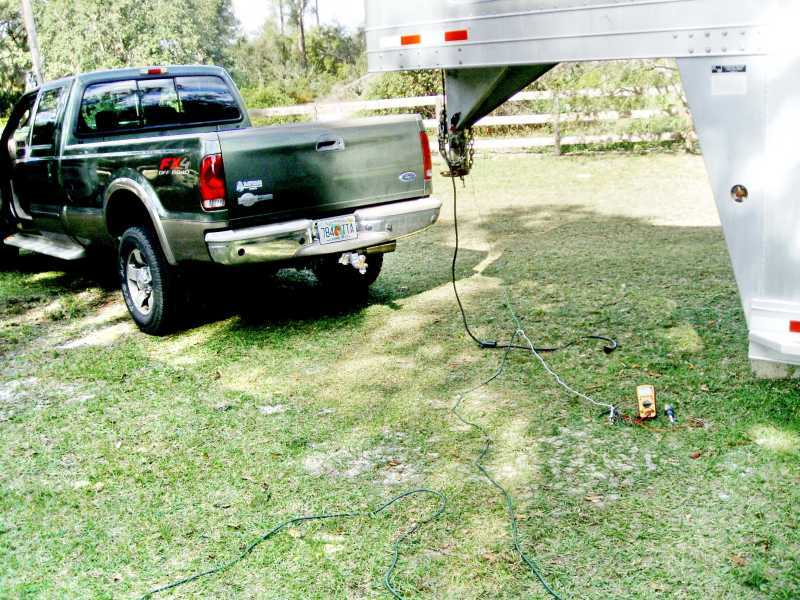 1 The truck or its wiring wasn't sending the electricity back to the trailer. 2 The trailers wiring wasn't sending the electricity to the brakes. however, the brakes were broken and non-functioning. 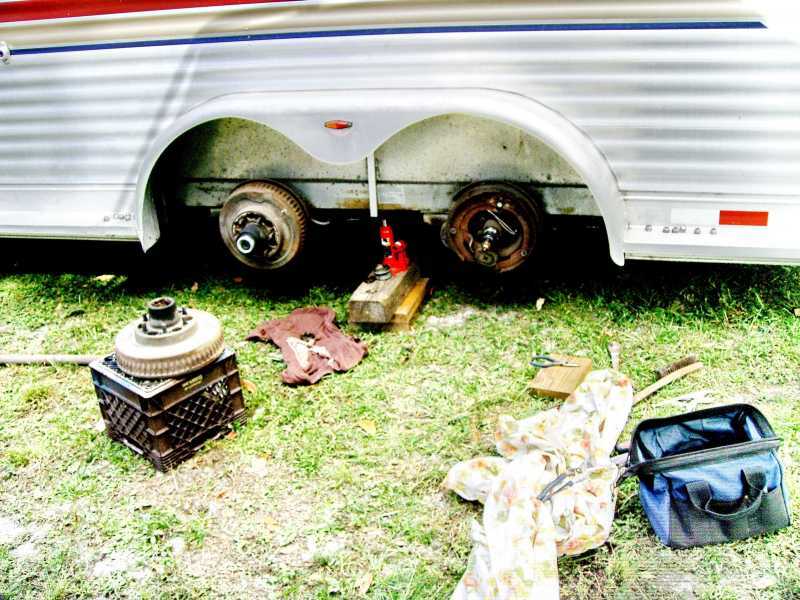 The problem could be in the truck or in the trailer, but how to tell which? 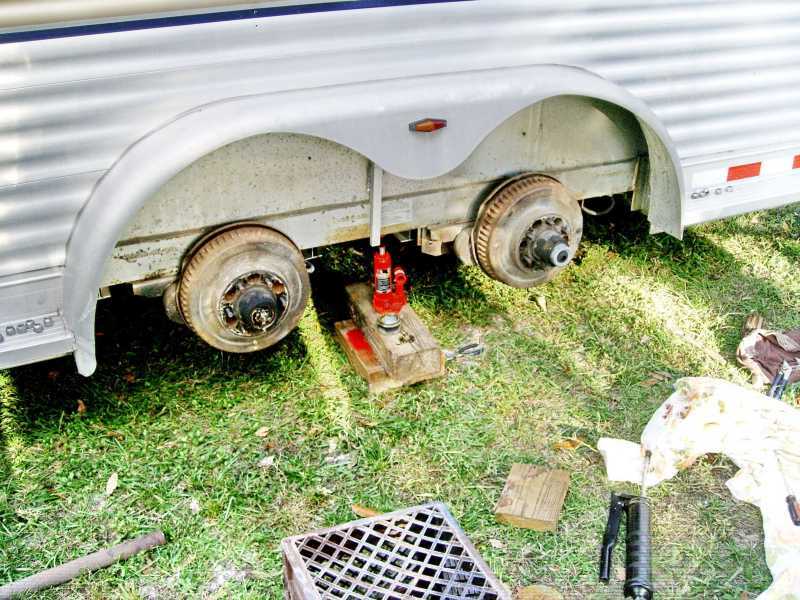 The process of elimination began by checking the trailer brake's magnets to see if they even functioned. There was no use in checking the truck first to see if all was well; then the trailer wiring, only to discover many hours later that the magnets were broken. So first we checked the magnets and verified they were functional. 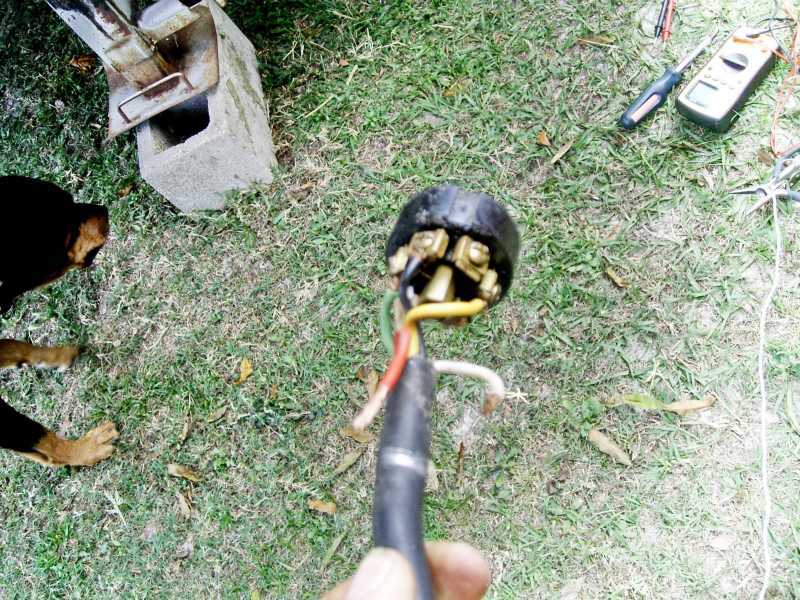 Now that we knew they were, we began examining the trailer wiring to determine if it was properly carrying the electricity from the truck to the actual electric trailer brakes. You can see the somewhat-oval magnet below the wheel spindle shaft. Now, we're checking the trailer wiring for interruptions or breaks in the electricity carrying capacity. We temporarily bypass the truck wiring in case it's faulty, and run our own electricity & wires from the battery to the trailer, for diagnostic purposes. 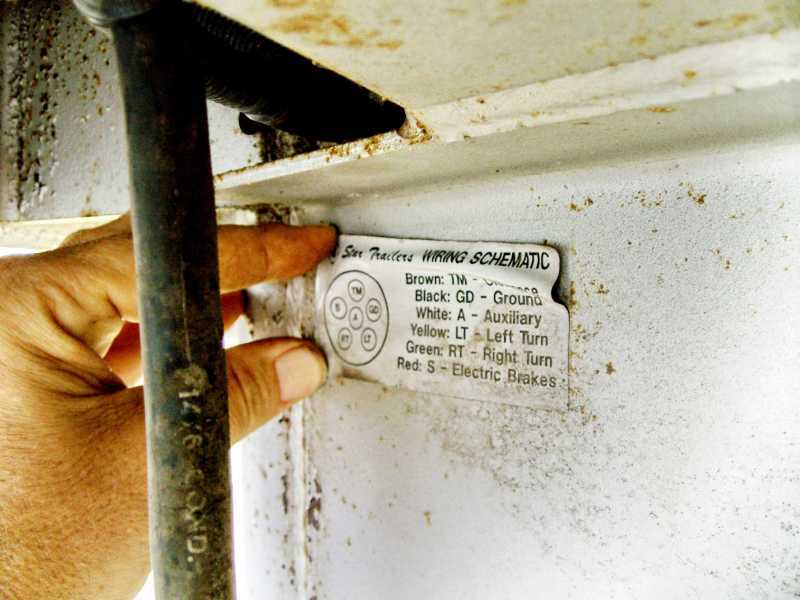 We even connect our own ground wire to the trailer because we cannot yet trust the trailer wires to be properly ground the trailer. We make no assumptions, and fully control every aspect of what is really happening so we can know, with exact precision, what's not happening when it should be happening. 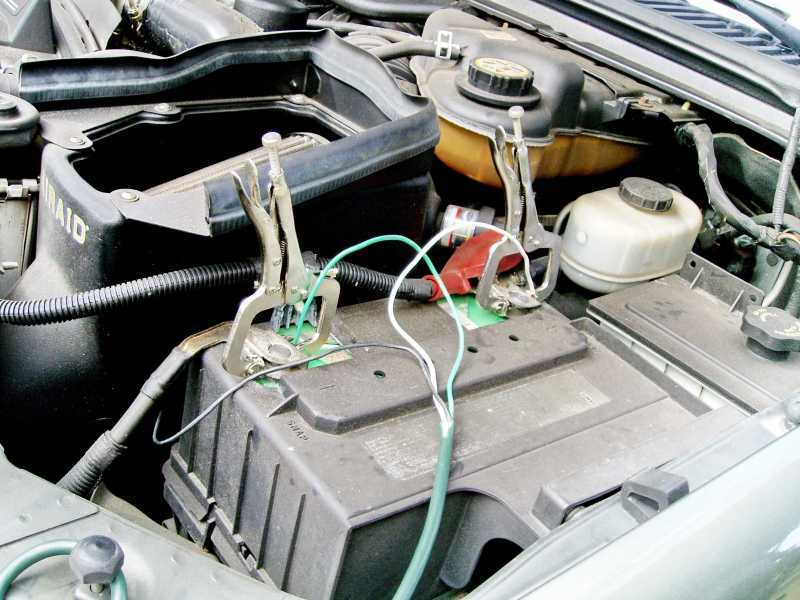 While diagnosing trailer's wires, we can't ever use the trailer's own wires, within our testing, in case the trailer's wires are bad and it would contaminate our feedback, confusing us. So, for testing purposes, we always run our own wires so we can be positive and in control of what is and is not happening. We leave nothing to chance. We double check the wiring in the pig tail because we don't know if someone before us has messed it up. We have seen that before. We have had to fix other peoples screw ups that didn't know what they were doing and their best guess just made things worse. 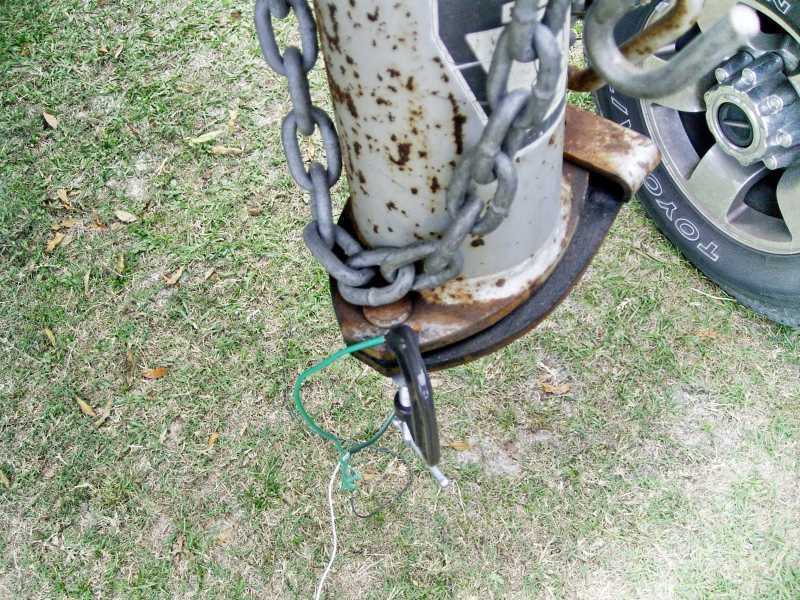 It turns out that someone that worked on the pigtail while the trailer was owned previously by someone else, and they never actually hooked up the brake wire in the pigtail. We can only wonder why? If we had ESP, we could have started our hunt here 1st, but since we don't have ESP, we had to use the tried, true tested method of "process of elimination", which did lead us here on our investigation. The brakes were in good shape and didn't need any work, but the wheel bearings were running dry (way too low on grease) so we repacked them so the wheel bearings would last another 50,000 miles at least. 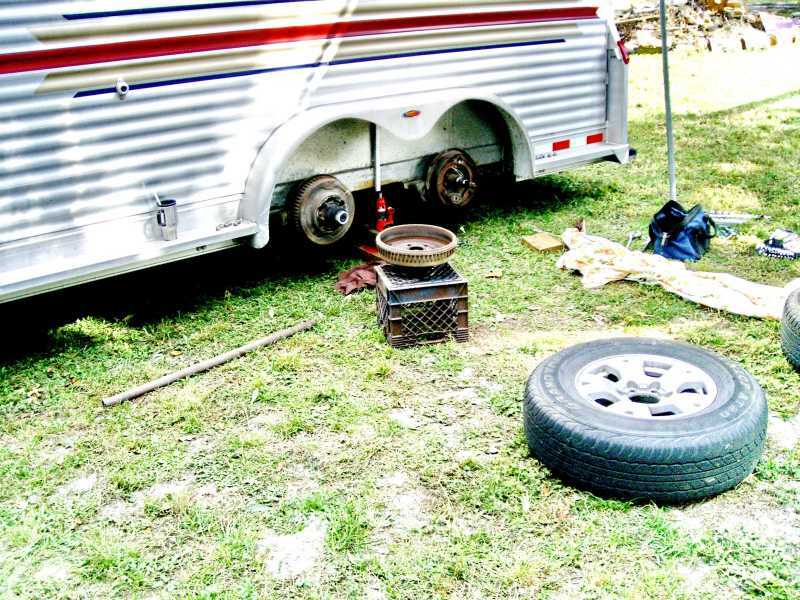 All is now good, so we throw the tires back on and we have one very happy customer who now has very powerful trailer brakes where previously there was none. 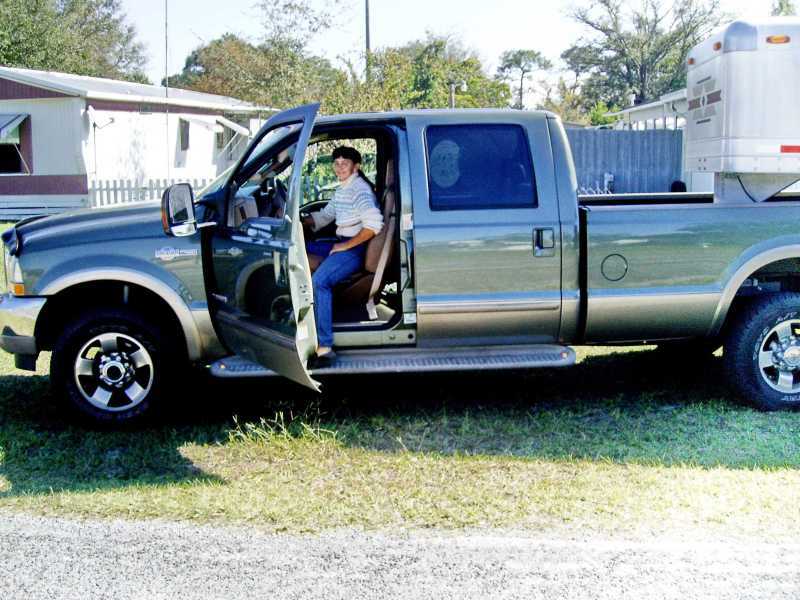 She said that was the best money she spent in a long time, as she wished for working trailer brakes for a year, being scared each time she drove it fully loaded with four (super valuable show horses) horses. She feared that she wouldn't stop quick enough and an accident seemed inevitable just looking for the worse place and time to happen. She says now her driving is so relaxed and comfortable, that she enjoys going to horse shows again. You have brake or wire problems? You have lights that don't light up? Make an appointment and I will make you happy you came to me.